Easy & Quick recipe of Malai Kofta.Contains Vitamins, Minerals Calcium, and Proteins. This is the season of joy and parties.In winters everyone should take special precautions to keep themselves and their families healthy. Taking dry fruits have been proven to boost the immunity. In my easy to prepare Malai Kofta recipe, you will find health as well as taste. This contains vitamins, minerals calcium, and proteins. It is a very delicious dish for parties. 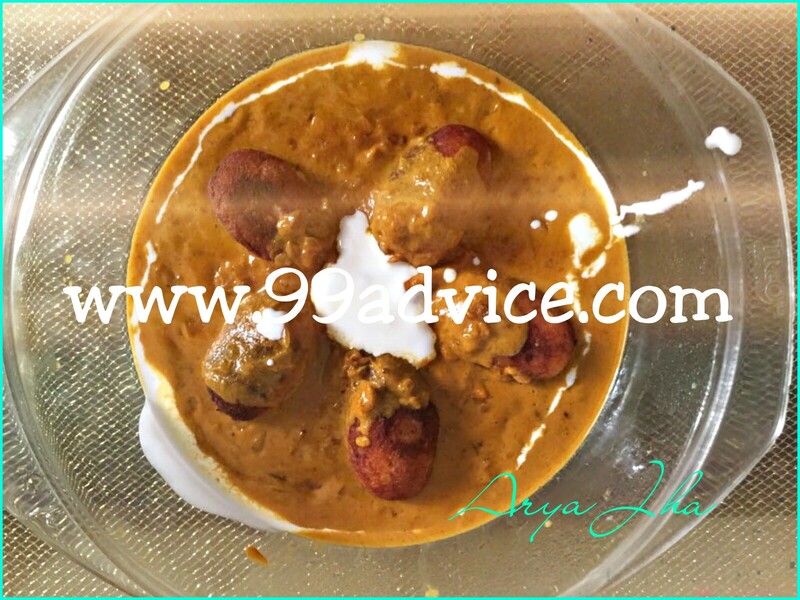 Let me tell you the fastest way to prepare Malai Kofta with awesome taste. Step 1- Take a bowl and mash Paneer and boiled potato with Maida and mix well. Add salt to taste. Step 2- Make 15 balls out of the dough and fill each of them with a few pieces of dry fruits. Step 3- Deep fry these balls till it turns golden and keeps them in a serving bowl. Step 1 - Cut onions into small pieces and fry till it turns golden brown. Step 2- Take the Postadana, Kaju and Kharbooj seeds, then add garlic along with tomato and grind until you obtain a smooth paste. Step 3- Pour the mixture into kadhai and add 1 teaspoon of Everest kitchen king masala, salt, and turmeric. Fry till it leaves oil on the surface, now add 2 spoons full of cream. Stir for 2 minutes. Step 4- Add a cup of lukewarm water and let it boil for 5 min. Step 5 - Now pour this gravy into the serving bowl where koftas are kept, cover for 10 min. Step 6 -Only decoration part is left, so you can add cream and decorate as per your choice, your delicious dish is ready, enjoy it!